Now here’s a big time saver for me if not a Tim Ferris time hack, the CardStore.com! Let’s take a look at buying a birthday card, filling it out and mailing it. For me to run up to the store (10 minutes), pick out a card, (another 5 minutes) fill it out, stuff it into an envelope and address it (5 minutes) and run up to the post office to mail the thing (let’s say another 10 minutes), I’m looking at 30 minutes of my time. 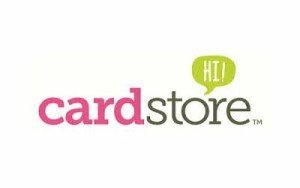 At long last there is a better way, that way is CardStore.com and yes I’m a big believer. I’m a big believer because it makes buying and mailing greeting cards so much easier and very convenient while traveling. 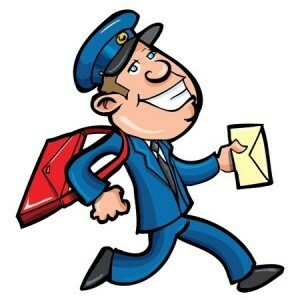 All I need is an internet connection and a credit card in order to send birthday cards, thank you cards, get well cards; well you name it, any type of greeting card to anyone anywhere in the world and from anywhere. But the best part is the amount of time I save by using this service. I’ve been using CardStore.com for two years now. Sending Christmas cards use to take me a whole day, now I have it down to twenty minutes. Albeit, everyone gets the exact same card but I’m saving almost a whole day. I simply pick out my Christmas card, fill out the card online, up load my address list and click send. No more licking stamps and envelops. CardStore prints the cards, puts them into envelops for you and mails them. Future Send, the ability to upload your signature and add your own photo to cards. Future Send is a time saver also. Future Send allows you to schedule sending a greeting card at later date to US postal address. Instead of login into my account each time I want to send a birthday card, I login at the beginning of the every other month and pick my cards for friends and family who have birthdays coming up. I fill out the personal greeting messages for each card and schedule a send/arrive by date. This is really working smart by working on your cards in batches instead of one at a time. When it comes to sending Thank You cards to business clients, I upload a picture of my business card and place this picture on the inside cover. Then I add a personal thank you note and then add my personal signature to the bottom making a very professional looking thank you card. The CardStore also has an rewards program where you collect rewards points each time you make a purchase. You can redeem these points for free or discounted cards. The CardStore has thousands of beautifully crafted card designs and you can turn them into top notch, ready-to-mail meaningful cards stamped with your own personal touch. You can do this from anywhere in the world where you have internet access making the CardStore.com indispensable for people who want to work smart and travel at the same time.